Have y’all heard of Mod Melts yet? 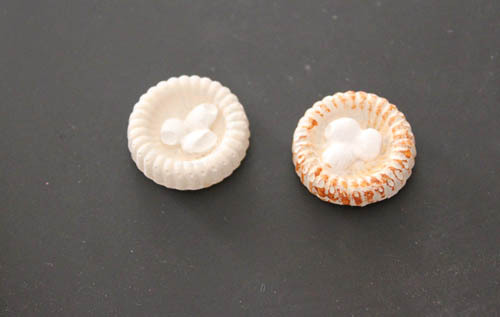 It a way that you can make your own embellishments. 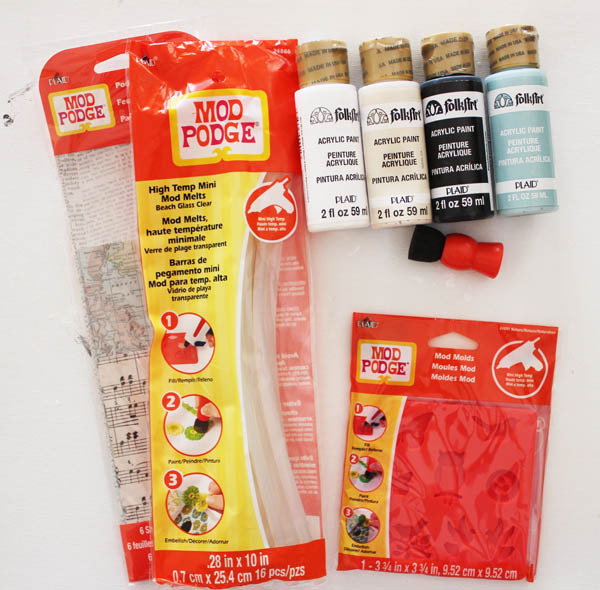 You use a Mod Melts mold, and Mod Melts sticks in your regular high-temp glue gun, and you can whip up embellishments to use on hairbows, gifts, cards, scrapbook layouts, home decor… lots of stuff. I even made some butterfly decor! Plaid sent me some fun stuff to play with – Mod Melts sticks in Beach Glass Clear, Folk Art paints, a spouncer, and of course a Mod Melts mold. There are several mold options available. To the supplies they sent, I added: Paperclips. Yup, just regular ol’ paperclips from the office supply store! I got started. It is very easy. 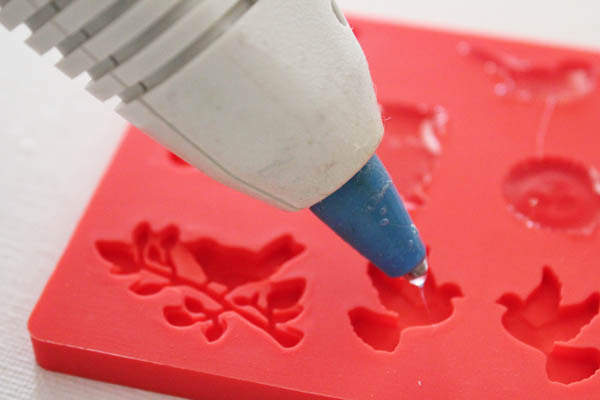 I loaded the Mod Melts into my high temp glue gun, let it heat up, and then squirted the Mod melts into the mold. 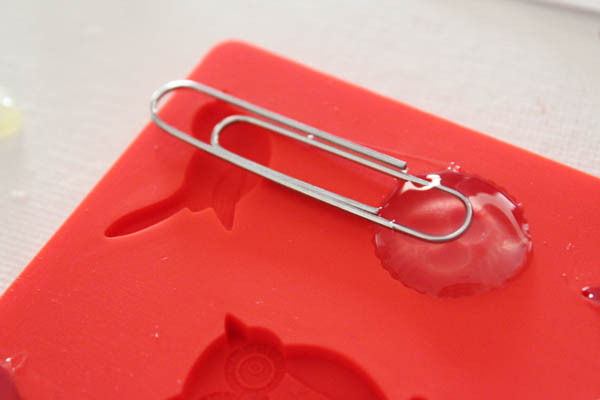 I put one end of the paperclip down on top of the mold, and then added a little more Mod Melt on top. Then I waited 10 minutes, and popped out the Mod Melt. I gave the nest a base coat of cream, and painted the eggs white. I wanted the detail to show, so I dipped my brush into a little bit of brown paint, wiped off most of it, and then dry brushed over the nest. 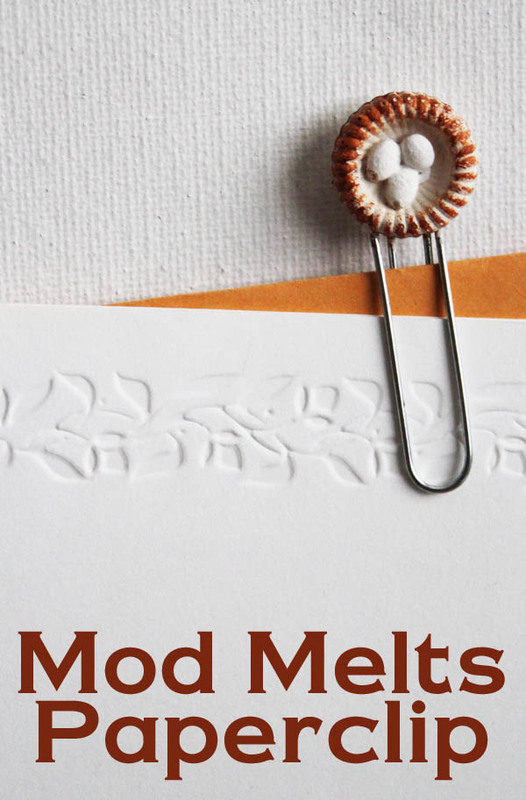 It was that easy to spruce up plain, boring paper clips with Mod Melts ! Very smart idea of adding paper clip to the mod melts while it’s still wet.. Very cute! I love the nest shape.